Work for BrightRoll Ad Exchange? "BrightRoll Ad Exchange is comprehensive ad exchange with advanced targeting parameters"
BrightRoll is very easy to use and provides comprehensive analytics. It offers advanced targeting parameters and the video advertising software system is best in class. BrightRoll's integrations with third party data sources are not the strongest in the industry and their reporting also needs support. The BrightRoll Ad Exchange has been extremely powerful in bringing excellent video demand to publisher partners. Their demand has filled above industry standards, and they provide great access to networks while supporting a wide variety of ad formats. Their out-of--the-box integrations with third party providers are also best-in-class. The business problems that I have solved with BrightRoll includes determining the optimal area of the market to invest additional market and advertising spend, in order to increase overall revenue and profit growth. I am also able to best extend the reach and scale of my ads. Brightroll has brought excellent video demand to our publisher partners. Their demand has filled above industry standards. At times it seems there are multiple levels of approval to test new initiatives. Brightroll offers some of the best demand in the industry. We have had fill rates as high as 80%. Brightroll has helped our network of publishers monetize their video inventory. There is definitely a premium associated that is not always seen with other partners. Some visibility issues. "Great but Not the Best"
Brightroll has great access to networks and supports a wide variety of ad formats. Integration with third party work seamlessly. Reporting features are some of the best in the industry. Interface isn't as intuitive as competitors like The Trade Desk or AOL. You'll get what you want from this platform, however, you should consider testing and reviewing other partners that may have better rates or user interfaces. BrightRoll is a brand-safe and easy to use ad exchange that offers many advanced targeting parameters and has large scale. The reporting and performance metrics are slim and the customer support can sometimes be slow. I am using BrightRoll Ad Exchange on a few large-scale campaigns with advanced/niche targeting. I like their tracking and reporting capabilities as well as their black and whitelist capabilties. Many targeting segments with use of 3rd party data. dCPM cost method. Great direct response performance. Lack of deeper insights. Lack of transparency. Driving direct online bookings. Great pricing due to programmatic purchasing. "Good partner, struggling performance recently"
They've got a wide range of publishers, good pricing, and great customer service. I think they have some sketchy quality for video. We've seen issues with player size and viewability. Consider using a white list for sites and have their quality under surveillance for the first few weeks of the campaign. We're trying to drive in-restaurant traffic for a national chain. We've seen the value in a low CPM, high reach video campaign run through Brightroll. "Great Platform with Great Features"
Brightroll has Less number of third party data. I like that they help you to understand everything and work with you when looking for places to reach a wider market audiance. Brx has its issues and nuances, but the customer service makes dealing with them a pleasure. While there are some changes necessary, they are open to client feedback and I anticipate that our input will be considered. Reporting isn't great. There are some issues with tracking clicks and mids at times. Making clients happy and keeping margins high. "Great alternative platform to reach targetted audiences"
Targeting tools are sophisticated enough that building audiences from demographics and campaigns make it heavily optimized. Costs can be high at times, but easily optimized over time. Highly targeted campaigns vs generic campaigns achieving more qualified traffic. Learning about BrightRoll Ad Exchange? * We monitor all BrightRoll Ad Exchange reviews to prevent fraudulent reviews and keep review quality high. We do not post reviews by company employees or direct competitors. Validated reviews require the user to submit a screenshot of the product containing their user ID, in order to verify a user is an actual user of the product. Hi there! 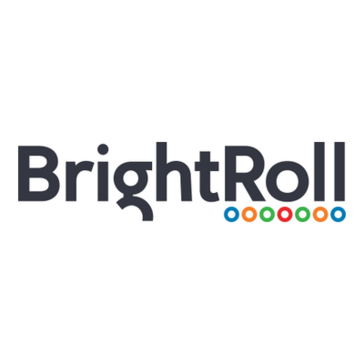 Are you looking to implement a solution like Brightroll?